Peel cassava and grate finely with a metal grater over a large bowl. Noyog is grated from mature coconuts and is available in wet markets. Use immediately as this is highly perishable. Add water and sugar to cassava. Mix well. Process cassava mixture in a blender or food processor to get a smooth texture. Add drops of food color if desired. Pour mixture into small tin cups. Arrange tin cups in a steamer filled one third with water. Over medium heat, steam, covered, until cassava mixture becomes transparent, about 15 minutes. 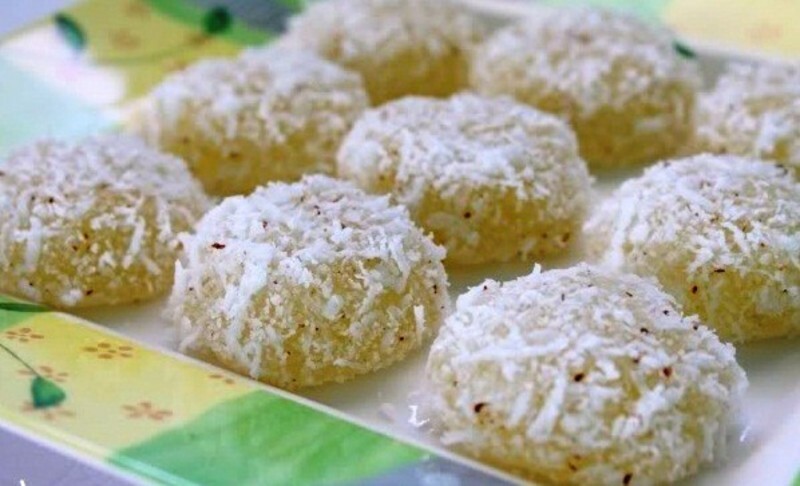 Remove pichi pichi from tin cups coat with freshly grated coconut before serving. End.